and much more. Select the Store Locator button to find the store nearest you. Hallmark is giving away $10 Sears savings cards with every purchase of $25 or more at participating Hallmark Gold Crown stores*. The more you spend the more you can save. Can be combined with $5 off coupon above. 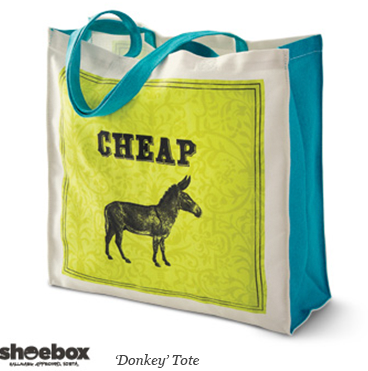 Grab your favourite Shoebox tote bag and go shopping – perfect for toting stuff and getting laughs! 4 designs to choose from. *$5 off $25 and FREE $10 Sears Savings Card offers can be combined. 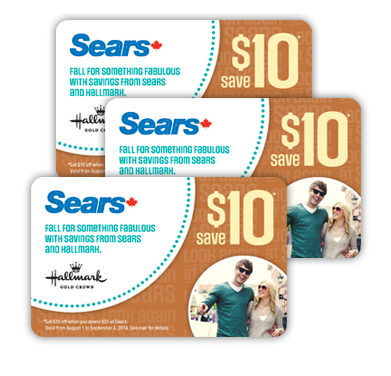 Receive a free $10 Sears Savings Card when you spend $25 or more before tax in a single transaction at participating Hallmark Gold Crown retailers in Canada, while supplies last. $10 Sears Savings Card valid August 1 to September 4, 2014. Must spend $25 before tax at Sears to redeem $10 Sears Gift Card. One $10 Sears Savings Card can be redeemed per customer; must be surrendered upon use.Some restrictions apply. See sales associate for details. 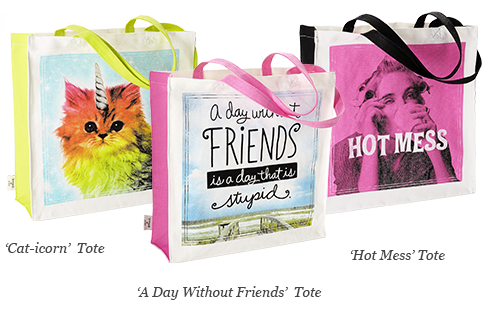 **Hallmark Rewards members SAVE 50% on Hallmark gift bags (plus applicable sales taxes) when they buy 3 or more greeting cards in the same transaction at participating Hallmark Gold Crown stores across Canada, excluding Quebec. Offer excludes gift bag bundles and packaged gift bag sets. This offer can be combined with the ‘3 cards for $10’ offer. Returns will not be accepted under this offer; however any unused gift bag in good saleable condition may be exchanged for any other qualifying gift bag upon presentation of the original receipt. Other exclusions may apply. Retailer reserves the right to change limits and/or exclude seasonal bags. © Sears Canada Inc., 2014. All rights reserved.